I have been inspired a lot lately by a certain catalog with the initials PB. However, I am never inspired by their prices. 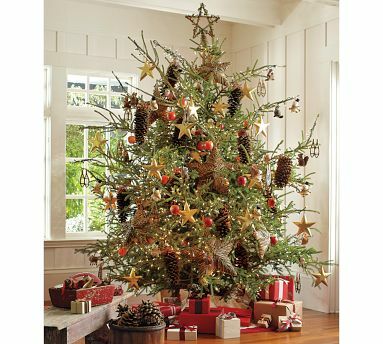 I love this beautiful tree topper, but for $29.00 plus s&h, I don't love the price. My tree needed a new topper since I added this to it, the old topper just didn't quite match the theme. Off to Michael's I went to pick up these supplies. PS: Use a 40% off coupon on both and it will be golden! You can make this for around $6! You're also going to need a bottle of hot sauce- lol. I decided that I didn't want to add the berries and greenery to mine, but it would be so simple if you want it on yours! Here is a close up of the wired twine (this stuff is pretty cool). I cut a piece of the wired twine and began wrapping it at the bottom of the star to provide the stability for the tree topper. After the star is stable, begin to wrap the twine around the hot sauce bottle (any other bottle will work). Every so often, I used a vertical loop of twine on the back of the topper to help stabilize and keep the "circles" of the topper together, otherwise they kind of want to bounce apart. Look closely at the picture below, the first eight circles of the twine have a vertical loop twisted around them. The other piece of twine is being worked through the bottom half. Here is the "messy" back of the topper with the vertical loops. Let the topper sit overnight to form its shape to the bottle. Then place the topper on your tree and sing a song about how much money you saved and how awesome your tree looks. If you like my PB inspired Merry Christmas banner above, click here to see how I made it. I will be linking to these parties this week. Be sure to check back next week when I hack one more PB inspiration! I love it. The top of our tree is still star-less! This looks great and you had me at the bottle of hot sauce! I wondered if you were going to attach it to the tree with the bottle or maybe sprinkle it on the star....? I gotcha now, clever solution! Kudos! 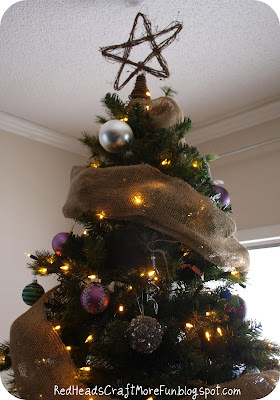 Great idea,, thanks for sharing how you made the part to put on top of the tree. I made star out of sticks over the weekend but couldnt figure that part out. Well, with this topper (wired twine? Who knew?) 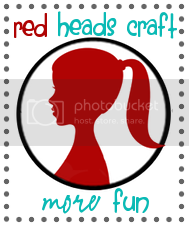 and the banner from last week, you are steadily becoming a favorite blog in my Tell Me Tuesday link party! We need a new topper and this is a great idea! Love your topper. Very clever. 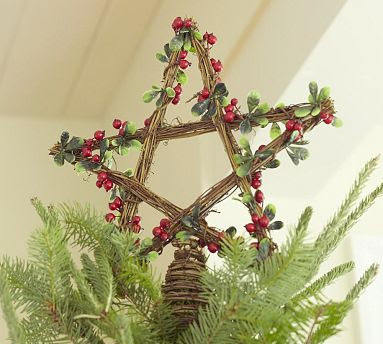 love the natural look of the star..has a very earthy feel.. Very nice take on the inspiration piece. Love it- I have been looking for a 'natural' looking star. Your blog is great, I will be back! Great star! and so easy to make too! What a great idea - I will have to check out that wired twine. I have never noticed it before but will look for it now. Nice job! Great job! I too love PB just not the prices. I'm going to check out your post on the Merry Christmas banner! Great job - love the rustic simplicity! That is really cool! 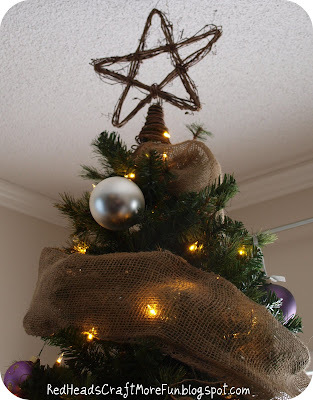 I've been trying to find a tree topper for our tree that isn't your typical gold star or angel. And this would look awesome on our tree! Ingenius! This is a wonderful idea! Great execution...love the hot sauce! Ha! That topper looks great..I'm all about doing it for less! It looks great on your tree. Oooh, I must have missed this topper in their catalog. I love it! Yours turned out awesome! Great job!! Too cute. Come grab a Featured button at While He Was Napping! Thanks for sharing! I adore this. You did an amazing job - looks better than PB! I am tickled pink! I just started reading your blog and must say...you have the most fabulous ideas. Inspiration! I wish I would have found you before Christmas!